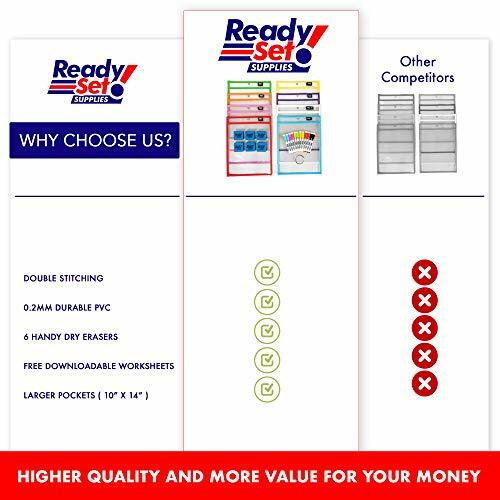 ✅PRACTICE MAKES PERFECT The ReadySet Supplies PREMIUM dry erase pocket sleeve and sheet feature 15 large envelopes that accommodate any standard letter-sized or US sized paper-keeping worksheets neat, protected, and organized. 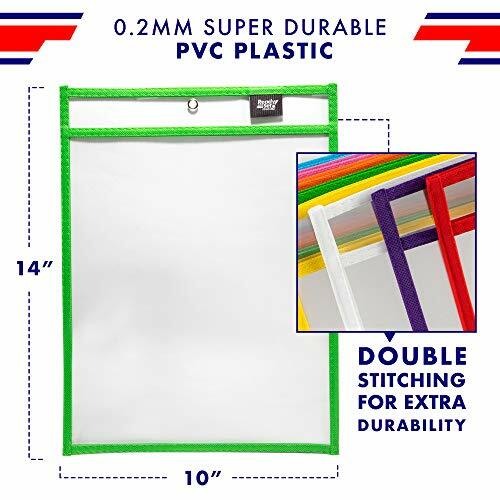 These school, project teacher supplies work like a laminate cover/sheet protectors, allowing parents/teachers/kids to change out activity sheets & coloring page/pages so they can be utilized again & again alternatively promoting eco friendly alternatives. 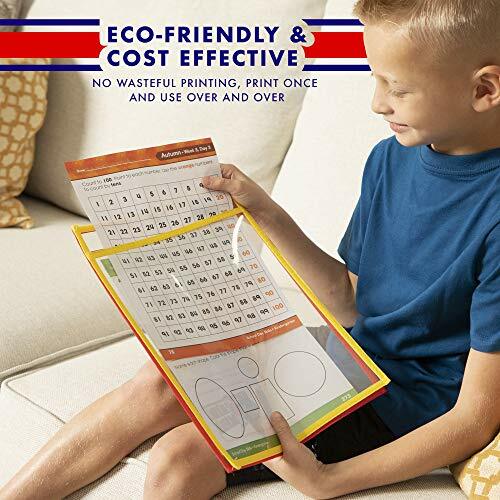 ✅IDEAL FOR KIDS These write and wipe sleeve covers are perfect for teaching early learning skills to children offering a convenient and reusable space for assignments or art. Teachers and parents can encourage teaching and education without wasting supplies or paper, whether students are in a classroom or home schooled. 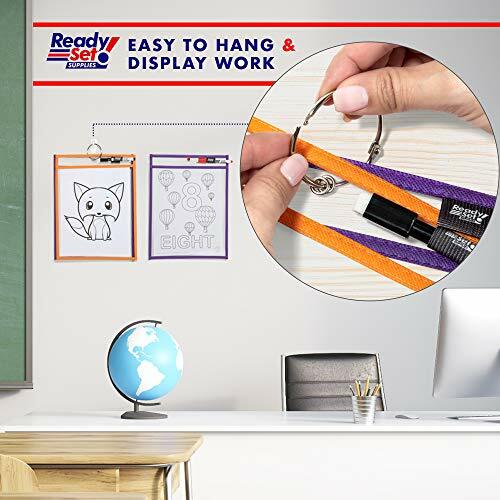 The page protectors serve as great teaching supplies or teacher supplies for classroom. ✅VERSATILE AND MULTIPURPOSE These colorful, write-and-wipe sleeves are great for a variety of uses and activities. 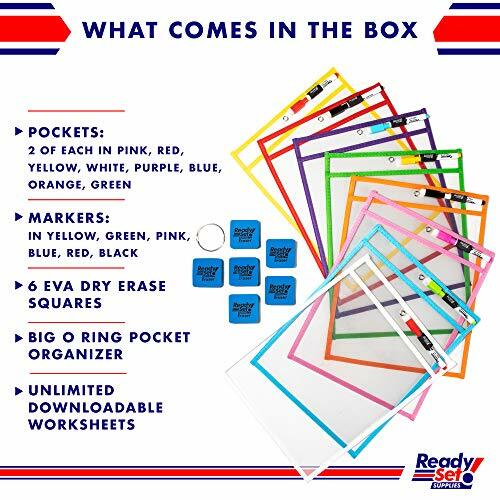 Our clear pockets/classroom supplies/teaching supplies are great school supplies for classroom activity sheets or homework. 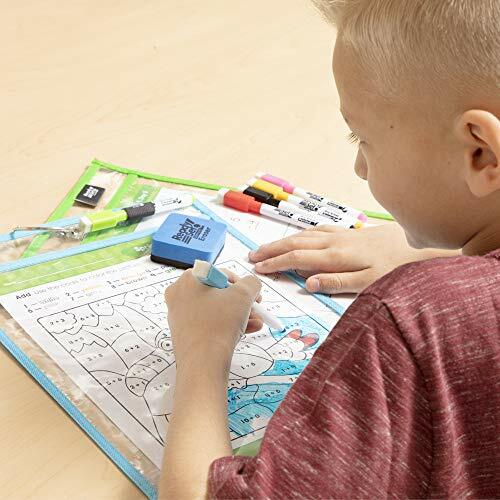 They work well for your child when working on writing, spelling, math, or drawing at home and are also useful for the office/workplace for sign-in sheets, check-lists, and daily activity logs. 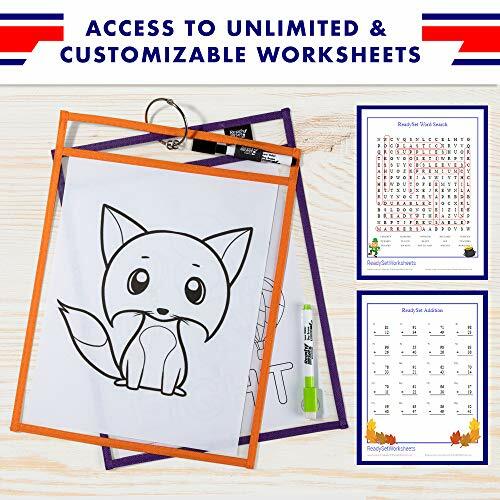 ✅➽UNLIMITED CUSTOMIZABLE WORKSHEET GENERATOR Eachtime you buy our PREMIUM reusable dry erase sleeve protectors, you get access to our website where we give teachers/parents access to our WORKSHEET ENGINE to generate dynamic worksheets. 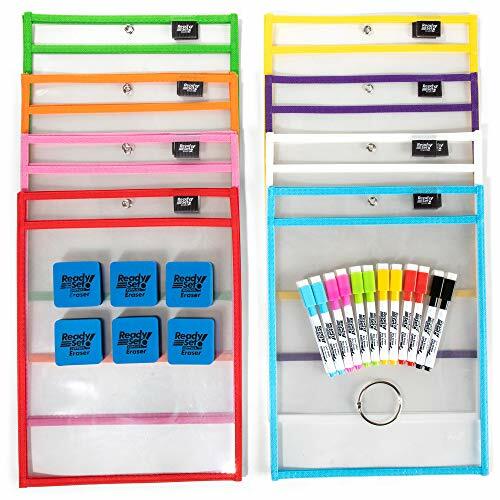 This is a GAME CHANGER as a huge addon to school supplies for teachers. An annual portion of our proceeds goes to Inner City Missions across the US, Canada and Africa.